Jerry Darnell Stackhouse was born on the 5th November 1974, in Kinston, North Carolina USA, and is a former basketball player with eight NBA teams including the Philadelphia 76ers, Detroit Pistons, Dallas Mavericks, Miami Heat and Brooklyn Nets, among others, gaining the reputation of a journeyman. After retirement, he began to work as a commentator and analyst, and also began a career as an assistant coach, finding engagement in Toronto with the Raptors. 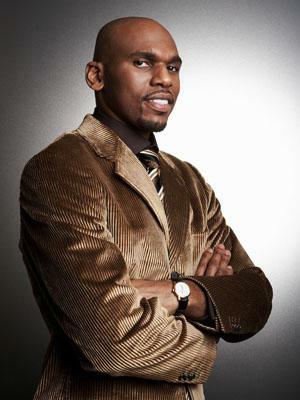 Have you ever wondered how rich Jerry Stackhouse is, as of mid- 2016? According to authoritative sources, it has been estimated that Jerry`s net worth is as high as $60 million, an amount earned through his successful careers in sports. As with many other basketball stars, Jerry`s dominance began in high school; he went to the Kinston (N.C) High School, until his senior year, and led his team to the state finals. In his final year, Jerry transferred to Oak Hill Academy, where his dominance continued, earning selection for the first team Parade All-America two times, and was named as the MVP of the McDonald`s game. Following his matriculation, Jerry became a student at the University of North Carolina – Chapel Hill, where he continued to dominate the basketball courts, winning the National Player of the Year by Sports Illustrated award, and was also named as the All-America player and received All-ACC honors. He entered the 1995 NBA draft, but remained active in college, obtaining a degree in African American Studies in 1999. He was selected as the 3rd overall pick by the Philadelphia 76ers, and played for the team until the mid of the 1998 season. In his first professional season, Jerry averaged 19.8 points per game, which earned him selection into the All-Rookie first team that year. The following season, the 76ers picked Allen Iverson, and the two became one of the best duo`s of the league, combining for 44.2 points per game. He was then traded to the Detroit Pistons, where he continued with great performances, averaging over 20 points in three seasons, with 29.8 points and 5.1 assists per game in the 2000-2001 season. His net worth was rising steadily. He was sent to the Washington Wizards in 2002, and stayed with the team until 2004, when he was traded to the Dallas Mavericks. However, his form in Dallas was nowhere near that while in Detroit and Washington, mostly due to injuries, however, he still had a significant role as a sixth man, averaging around 15 points and three assists per game. His tenure in Dallas ended in 2009, when he was traded to the Memphis Grizzlies, however, the club waived him only a day after the trade, and Jerry then signed a contract with the Milwaukee Bucks, which would keep him until the end of the 2009-2010 season. Jerry`s next stop was Miami and the Heat franchise, however he was there for only a month, playing in seven games. In 2011, Jerry signed a contract with the Atlanta Hawks, which only increased further his net worth; he stayed in Atlanta for one season, and in 2012 he became a part of the Brooklyn Nets. Jerry retired as a Nets player, appearing in 37 games in his last season. During his career, Jerry earned selection for the NBA All-Star game twice, in 2000 and 2001; he ended his career with 16,409 points scored and 3,240 assists. After retirement, Jerry became a part of the Fox Sports Detroit as a Pistons analyst, and has also worked as a color commentator for the Detroit Pistons road games, which has also increased his net worth. Regarding his personal life, Jerry has been married to Ramirra Marks since 2000; the couple has three children. 3 3rd overall pick in the 1995 NBA draft out of North Carolina.